vintage handmade fancy rope belt with beads made in the 40's by a Hollywood designer, Vanya, who was taking a break and living in the back country of San Diego County. 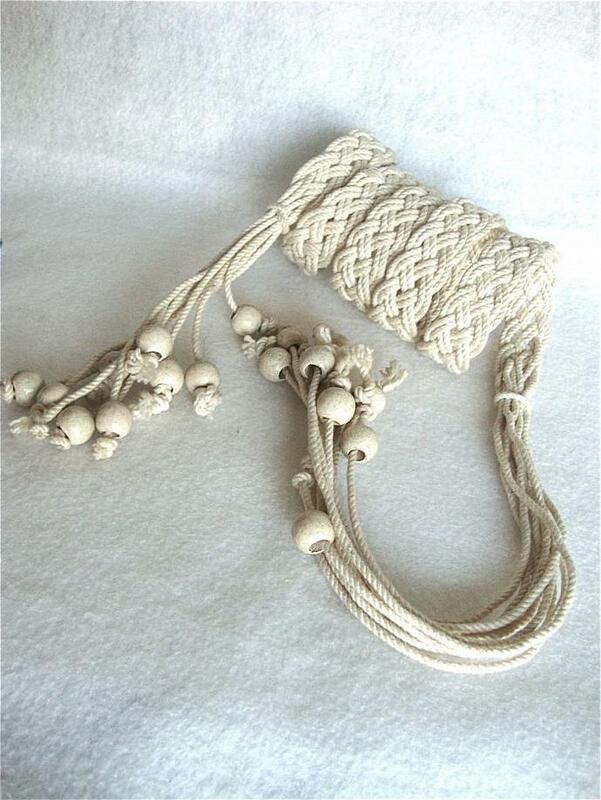 beautifully braided with long tassels and 1/2" wooden beads looped thru. measures 52" overall, or 35" + tassels, each side is different, one side measures 5 1/2" tassels, other measures 10 1/2". 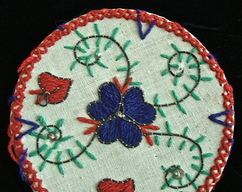 braid measures 7/8" across, rope color is ivory as well as the beads.